In a recent study done by Google, slightly more than 70% pages on Google took a load time of seven seconds. This means that if your site is speedy you are way ahead of others. The reason why speed is crucial is because it retains your visitors. Bounces will destroy your SEO. If you’re having trouble with SEO visit serpbook.com for detailed information. Research suggests that more than half of mobile users leave a page if goes past three seconds to fully load. To increase the speed of your site, lower the many elements that can increase the loading time. To test your site’s speed use Google’s test my site tool. Most users nowadays access the web through handsets more than ever before. With the integration of technology, many people own smartphones which can basically do anything. More often, people around the world use mobile to browse the internet than they use computers. With this change, Google has also encouraged site owners to optimize the user experience for mobile users. Sooner or later, Google will start to index and rate pages based on mobile user experiences. Ensure your website is designed responsive so as to cater for both computer and mobile users. Also, improve your overall design for the mobile by making it easier to navigate. This will give you higher conversion rates. To gain traction to your site, you’ll entirely depend on content marketing. It is not easy to keep up with speed during your first few days after the launch as you’ll be needed to produce and market content regularly. If you prepare enough content beforehand, it can save you the trouble. It is through content that you are able to target keywords effectively. And blogging provides the fastest and easiest way to do it. Stockpile content before you push your site live. Write dozens and dozens of articles with top keywords. If you lack content people lose trust in you. In the first place, no one will find you if you have no content. The more blog posts you have the more traffic you attract to your site. The two will help you with analytics which are crucial to your SEO growth. This helps you understand how your content is performing. Then you will use this information to correct your mistakes or even optimize your site for some keywords. With these two tools, you can also track how users find and find use your page. For a new website, you don’t have to wait until you run an audit on SEO to start optimizing on-page SEO. Start by picking keywords from each page. This will help you to drum your interest over time. You can also write title tags best suited for search engines. Ensure each page has a unique title. Title tags are usually shorter, containing 50-60 characters. Beyond 60 characters the search engines slash the rest of the characters, hiding crucial keywords. Instead, use short and sweet URLs when you’re building pages. In addition, optimize for Google image search results by adding images to your pages, creating customized graphics and adding them to your blog posts. Stencil and Canva have proved to be great sites to customize your graphics. When uploading your images, add texts that are rich in key words. Making topics of your pages very clear reduces bounce rates. Ensure you use target keywords in the first 100 words of your content. You can include external links too. When writing new articles, add at least two internal links to articles in your blog. Long tail keywords are defined as longer keyword phrases that are ultra-specific to what you’re talking about or selling. Many customers search using long tailed keywords because most of the times they know what they specifically want. By using such keywords, you’ll be aiming those that already want to buy thus generating more conversions. To achieve this, collect results and target high volume keywords. You’ll yield better results. This has to do with the design of your site. Well designed landing pages boost both lead generations and sales. If your site has more landing pages, there are increased opportunities to easily attract incoming search traffic. 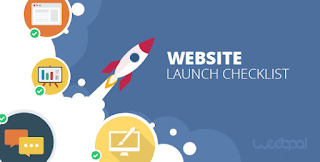 As you can tell, there is more to a website than just launching it. There is a lot to learn which can boost your SEO, generate leads, attract traffic and even make you proud of being a site owner. Many of the aspects talked about need thorough research, patience and consistency. It is not about launching the website, but it is about being able to manage and sustain it. You, therefore, need to optimize all the opportunities that can make your site be ahead of competitors. Be it producing quality content, content marketing, creating relevant title tags, optimizing landing pages, or even customer engagement, you need to stick your head into the game long enough to win it. This is a great read. These are definitely important for the success of a blog launch. There should also be some sort of email list builder that allows you to start growing your list immediately. There should be no waiting time as every email counts.